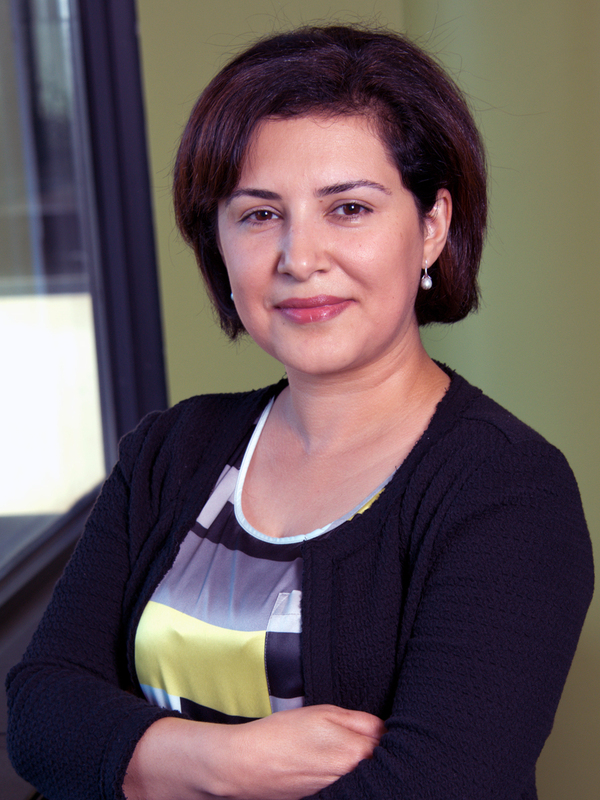 Dr. Amina Salamova is an environmental chemist who applies organic and analytical chemistry to the study of toxic pollutants in the environment. She joined O'Neill in 2011 after completing her doctorate and M.S. degrees in environmental science at IU, following degrees in chemistry from Baku State University in Azerbaijan. Salamova's research interests lie in detecting persistent organic pollutants (POPs) in various environmental media, such as outdoor and indoor air, biota, and humans. She focuses primarily on determining spatial and temporal trends of POPs in regional and global environments and investigating human exposure routes and rates to POPs. Salamova is currently participating in an IU Collaborative Research Grant project with O'Neill Distinguished Professor Ronald Hites and IU School of Public Health Professor Ka He. This collaboration is developing noninvasive human biomarkers, such as hair and nails, for assessing human exposure to flame retardants, a wide spread group of POPs. Salamova's work has been published in national and international peer-reviewed scientific journals, and she has presented at several professional conferences. She is a regular reviewer for Environmental Science and Technology, Science of the Total Environment, Environmental Science and Pollution Research, Environmental Pollution, Atmospheric Environment and Chemosphere. 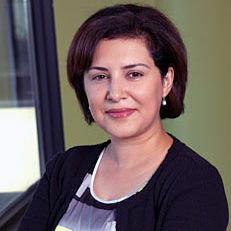 Salamova is project director of the Integrated Atmospheric Deposition Network (IADN), a bi-national environmental research collaboration between the United States and Canada. In this role she is responsible for overall management and development of this project. She is a member of several professional organizations, including the American Chemical Society (ACS), the Society of Environmental Toxicology and Chemistry (SETAC), and the International Association of Great Lakes Research (IAGLR).